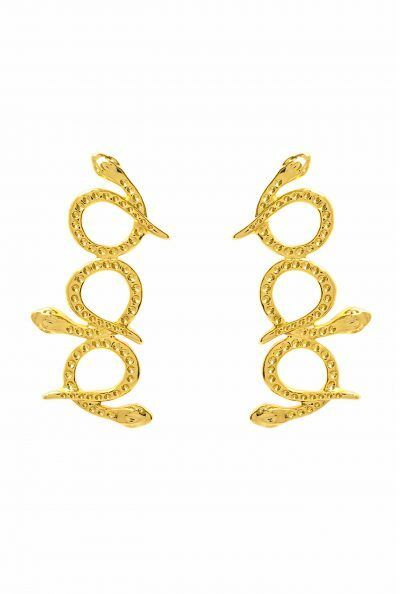 Inspired by the Pre-Columbian golden artwork, the Anaconda earrings symbolize fertility and healing. 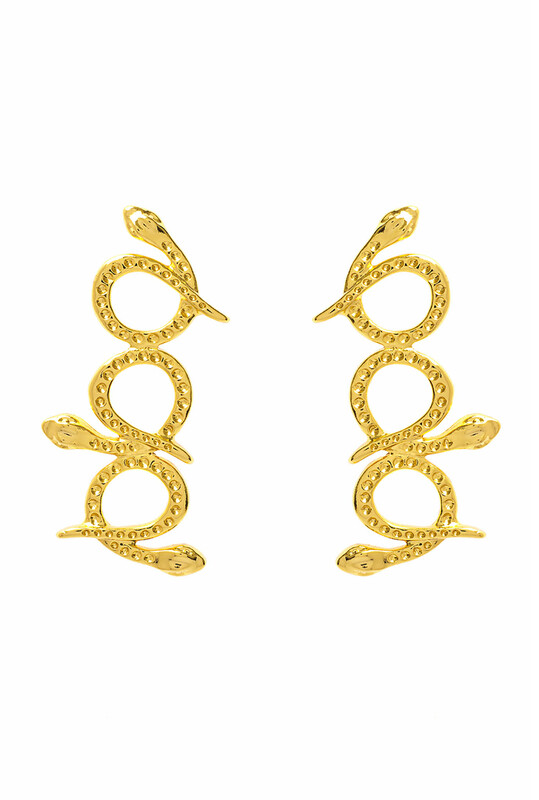 The 24k gold plated Anaconda earrings represents an ancient history with a contemporary edge. Extravaganza Deluxe! Product code: FA-BC-AE Categories: Suggestions, Under 300, Earrings. The new FLOR AMAZONA Vera sunglasses are both stylish and feminine. It´s 70´s design is great for balancing every type of face to add a modern flair to your daily outfit. These sunglasses have been expertly handcrafted using 24k gold plated stainless steel, acetate and uniquely shaped lenses to make them your choice for vacations and every day in the city. The UV400 Polarized Italian Lenses provide broad protection and are highly scratch resistant. 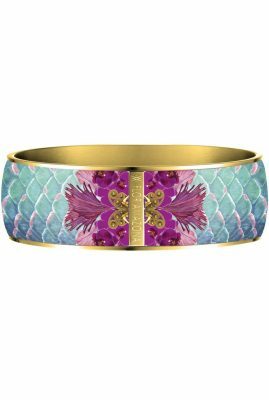 Both exotic and chic, this beautiful enamel Beach Candy bangle is a true statement piece. The beautiful beaches of Parque Tayrona, the amazing goldwork of the Tayrona Indigenouse group and the colorful and exotic flowers found in this natural park served as inspiration for creating this bracelet. This unique and vibrant gem adds a jazzy flavor to any outfit - day or night - fusing the ease and carefree lifestyle of a gypsy with the sophistication of the yet set. For a fiercely glamazon and cheery effect, you can mix and match multiple enamel bracelets. The back exterior features a 24k gold plated Flor Amazona logo. Enameling is a delicate process. As such, it can take up three to four days to produce one single enamel bangle. Inspired by the majestic Eagle found in South America’s rainforest, the 24k gold-plated Ave earrings symbolises great strength, leadership and vision. For the indigenous communities the eagle conveys the powers and messages of the spirit; it is the man’s connection to the divine because it flies higher than any other bird. These unique 24k gold-plated Ave earrings combine traditional craftsmanship with a contemporary edge. Extravaganza Deluxe! Both exotic and chic, these beautiful enamel Firenze earrings are a true statement piece. The Medieval Gothic style of the cathedral in Firenze and the amazing Brunelleschi’s Dome served as inspiration for creating the 24k gold plated bangle. This unique and vibrant gem adds a jazzy flavor to any outfit – day or night – fusing the ease and carefree lifestyle of a gypsy with the sophistication of the yet set. For a fiercely glamazon and cheery effect, you can combine the earrings with a mix and match of multiple enamel bangles. Inspired by the symbol of Christianity, the 24k gold plated Cruz earrings are a true eye-catcher. These unique handmade statement earrings combine traditional craftsmanship with a contemporary edge. Extravaganza Deluxe!